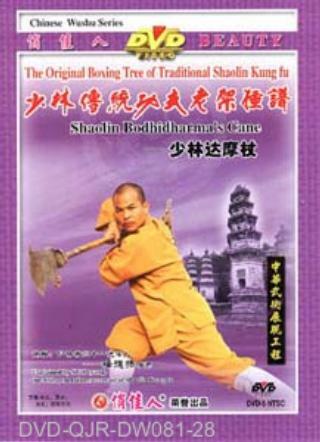 Shaolin Dharma Crutch (Shaolin Damo Zhang) is one of the rare weapons in Shaolin wushu. It has a unique shape, just like a crutch of an old man. The movements of this routine are fierce, vigorous, simple, natural and poised. It skillfully and rationally utilized the techniques of attack and defense, so as to have true with no flase, attack contains defense and retreat contains advance. This routine is especially stressing on the eye techniques with hands and eyesight moving in synchronization.